It’s Easter Sunday! Because everyone has a ton of family activities to get to, so I’ll keep this short! 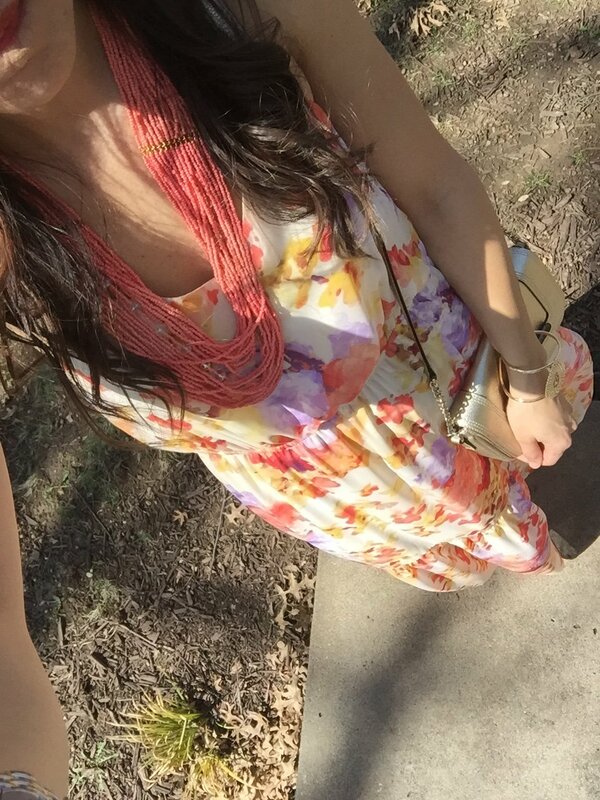 But I really wanted to share my Easter dress. I love the pretty colors, its easiness and how it flows! Sometimes you’re just not sure what to wear for Easter Sunday. To me, Easter screams pastels, anything light and airy! 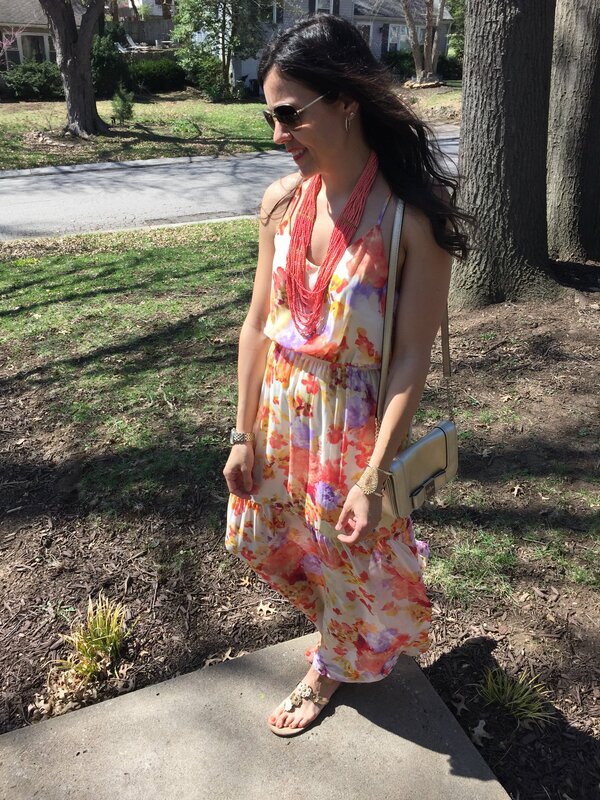 This floral maxi dress is the perfect choice because it’s easy, breezy and doesn’t require much to make it work. 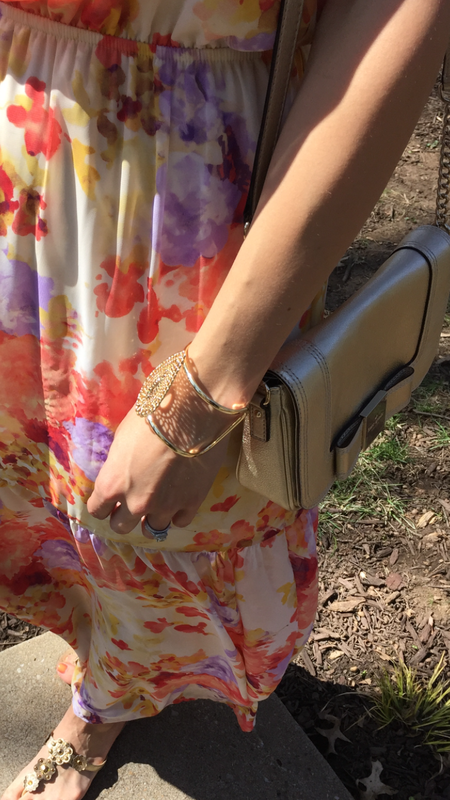 It’s easy to throw on a multi-strand beaded necklace, a light cuff and simple earrings. This is the perfect way to finish off a printed dress, or anything printed. Kansas City is still a little chilly, so I threw on a denim jacket. 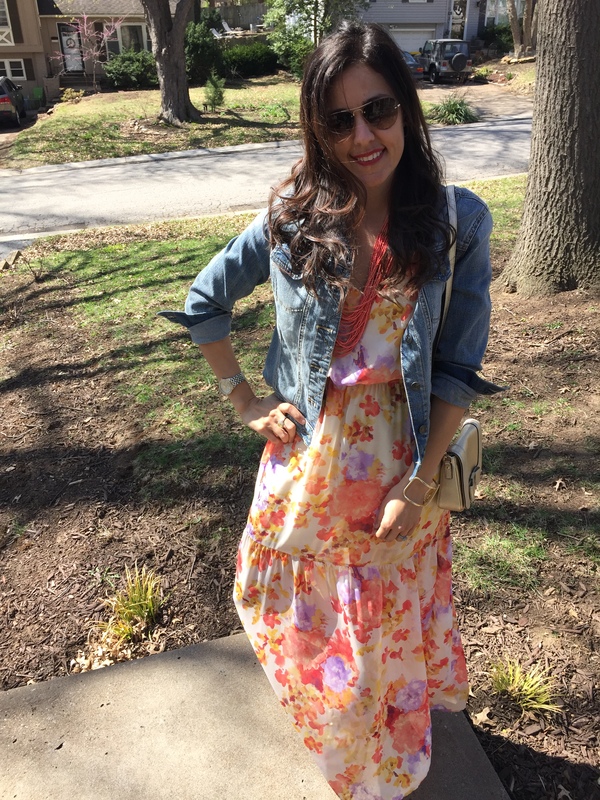 Because denim jackets are a spring staple in my book! They go with just about any and everything.